For this page I did some hand drawing, then I attached it to the background made separated. 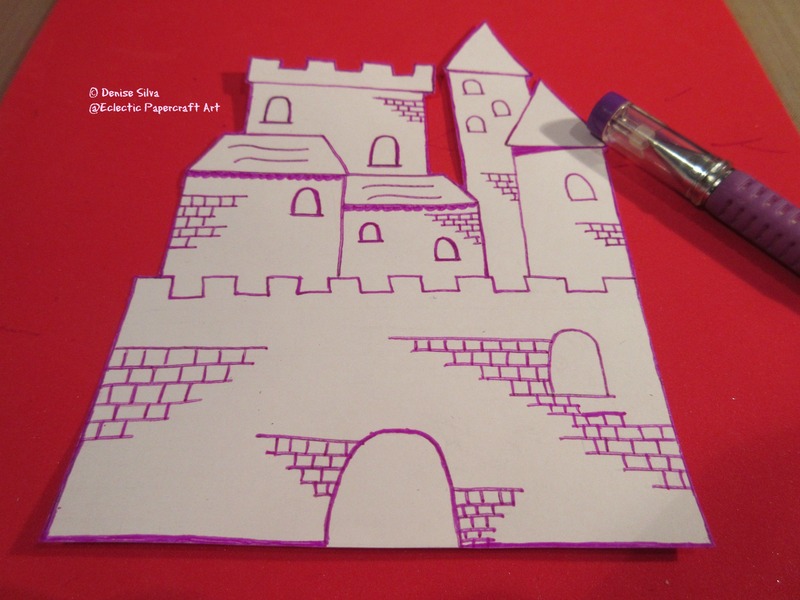 Got my inspiration for this page on the castle from myserenitycrafts Youtube channel project. For the background, I started with the distress ink. 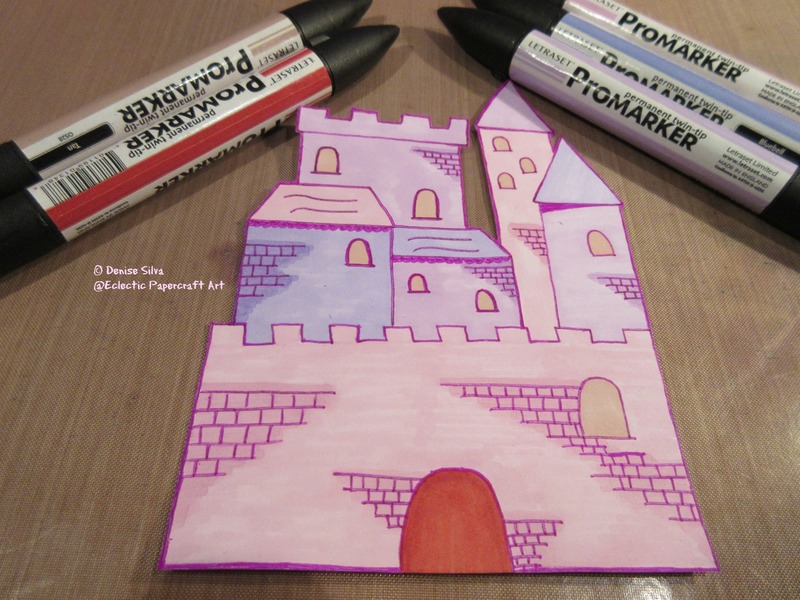 Then hand drew the castle and went over it with the gel pen. Coloured it with the Promarkers. And attached it to the background. 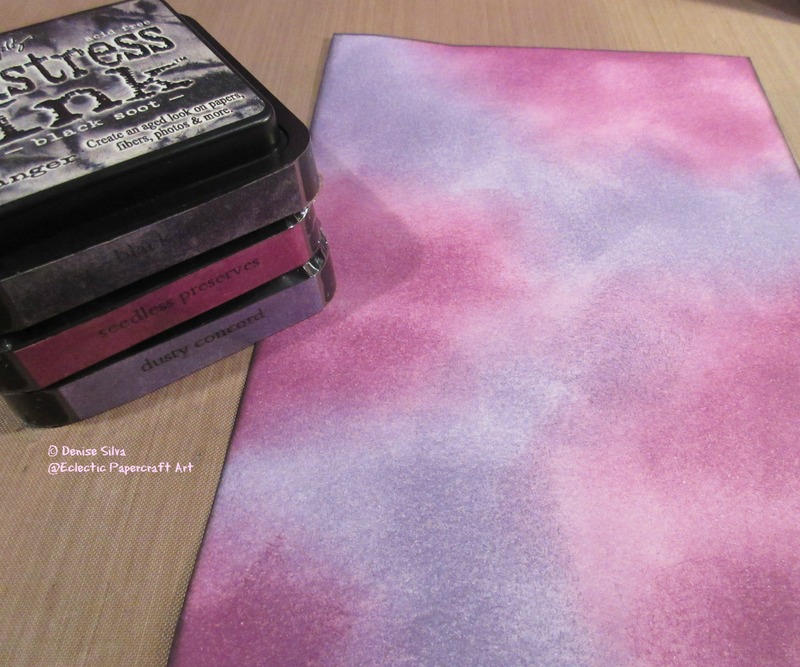 Distress ink: seedless preserves, dusty concord and black soot. 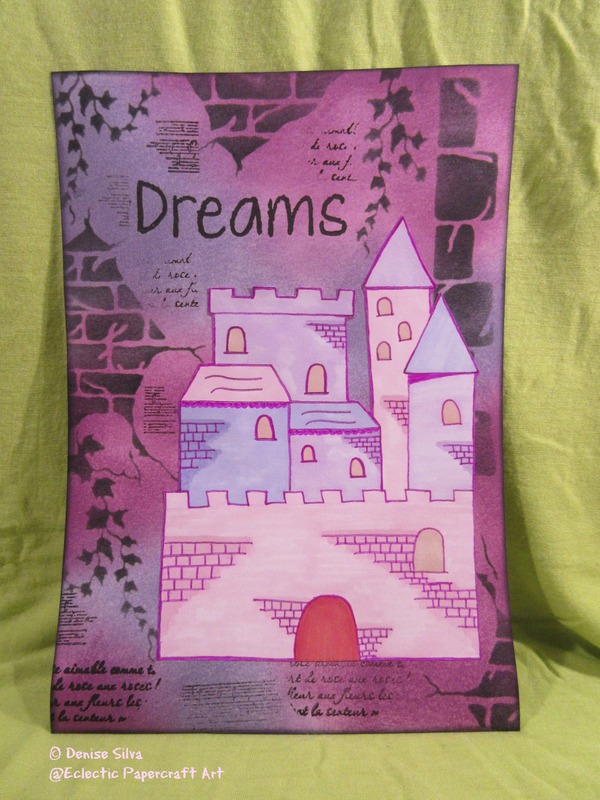 This entry was posted in Art Journal and tagged Bo Bunny, Brilliance ink, distress ink, Promarkers, TCW. Bookmark the permalink.